The Biltmore, in Asheville, NC. 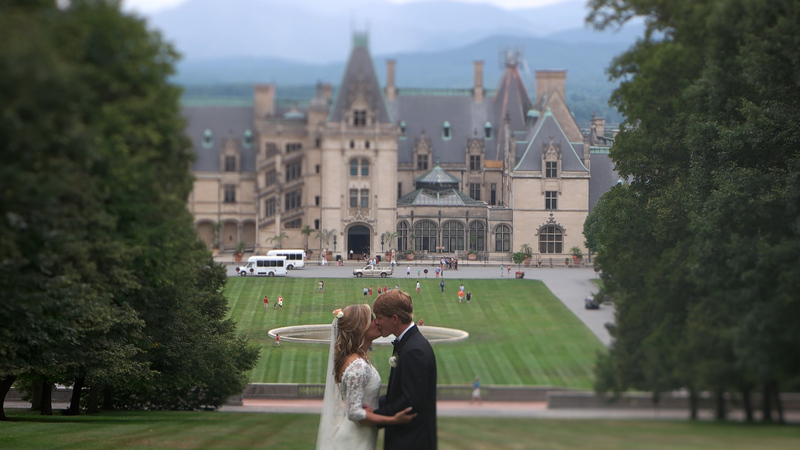 It’s a magnificent place to visit, and an even more wonderful place to get married! Mary August and Garner grew up together in Oxford, MS. Mary August and Garner’s sister Emily were close friends, and had many sleepovers, along with many towing recoveries as kids. As the years went by, Mary August and Garner grew closer, and their love blossomed! It was only two years ago Garner asked for Mary’s hand in marriage. I was thrilled to get the email about shooting a destination wedding at the Biltmore, as I have never been. 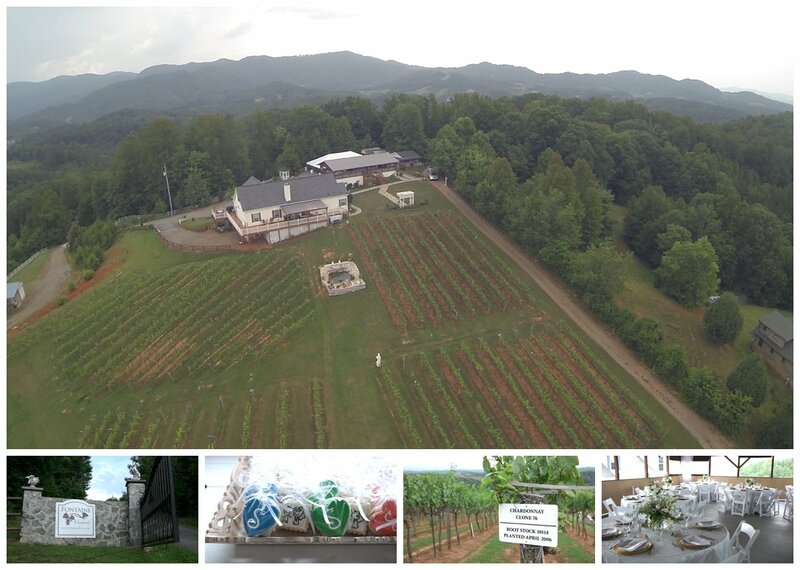 Asheville is a beautiful city, rich with art, culture and wonderful food. Nestled in the beautiful North Carolina mountains, is the Biltmore Estate, and it’s surrounding properties, the Inn, and the Deer Park restaurant which would host the events for the weekend. I arrived early to scout the area and start shooting in and around town to provide some local flavor to the film. There are so many things to see and do downtown, lots of live music, food and local breweries. I would suggest a weekend in Asheville to anyone, the brisk, cool, morning mountain air is a pleasure to wake up to! I finally was able to visit the Biltmore on Friday, with equipment slung over my shoulder, I roamed the property on a beautiful sunny day, to shoot scenes I felt would add to the atmosphere of the event. The wedding event was taking place at the Deer Park restaurant, about 2 miles away from the main house. It’s a beautiful venue, with an oak lodge, and dinner/reception area inside, with an open patio area on the outside for cocktail hours and ceremonies. The rehearsal dinner location was an absolute treat! Nestled on top of a mountain, the Fontaine Vineyards provided an intimate location for a family dinner. 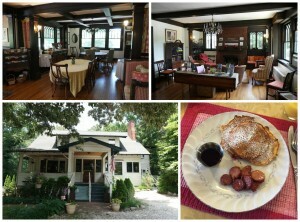 The vineyard is family owned by a lovely French couple. Guests arrived and mingled for a bit before taking their seats. 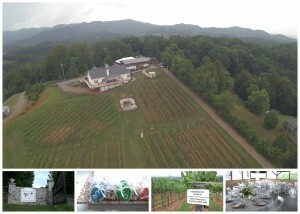 I was thrilled at the chance to get some aerial views of the location before some storms rolled in. After dinner, family and friends gave lovely, heartfelt toasts and congratulations to Mary August and Garner. The wedding day turned out to be a lovely, low key day. Garner and his groomsmen had brunch at the TGIF prior to getting ready at their hotel. Meanwhile, Mary August and the ladies were starting hair and makeup at the Inn on the Biltmore Estate. the ladies each did their own, and helped each other with hair and makeup. Wearing custom robes, the ladies were all very excited about the events of the day. Mary Augusts’ dress was a classy, vintage style gown, which fit her perfectly. The cathedral length veil, silk illusion with Brussels lace and re-embroidered Alencon lace, was a Priscilla of Boston design and was also worn by Mary August’s sister, Margaret Goodwyn. After everyone was ready, we proceed to the estate grounds for the first look, and picture session. The view from the Diana location was breath taking, and provided an incredible backdrop for the couple to remember this special day! Cortney Hamlin Jackson, of the Asheville Event Company was the coordinator for the event, and did a superb job of making sure everything was on point, especially with having to navigate tourist traffic throughout the property. The ceremony took place in the oak room at the deer park restaurant. With beautiful hardwood floors, and window lighting, the old world feel was fitting for the intimate theme of the wedding. The reception featured one long table for guests and wedding party, much like days of kings, very unique. Brandon Crocker provided the music, and you would have swore James Taylor was singing live! 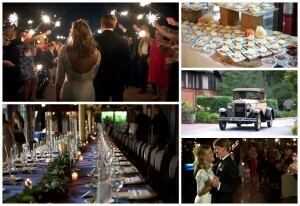 Toasts were given, followed by dancing and a sparkler send off, with an exit in an exquisite model A Ford. For my travel accommodations on this one, I chose a bed and breakfast, mainly for the private entrance with all the gear to transport. 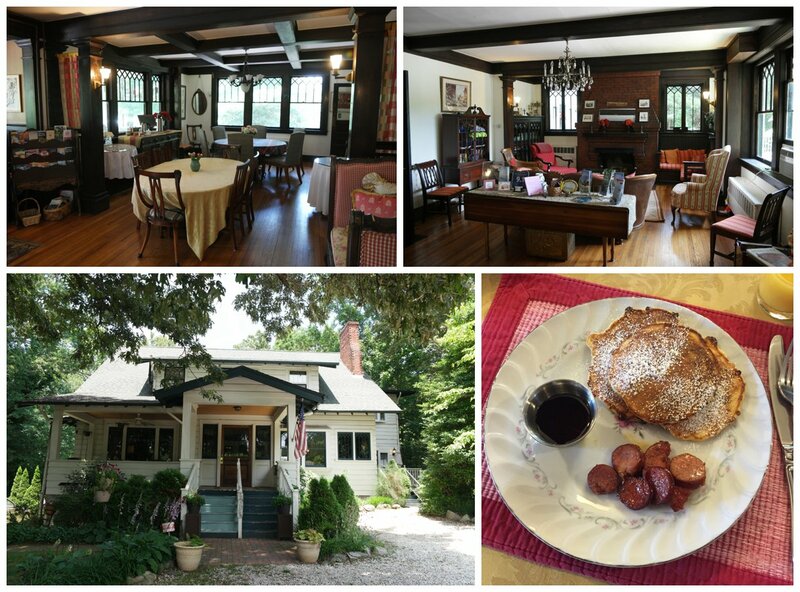 The Oakland Cottage Bed and Breakfast was amazing! Steve the Inn Keeper was very friendly, and helpful with pointing out great spots to get footage. He was also an excellent private chef! 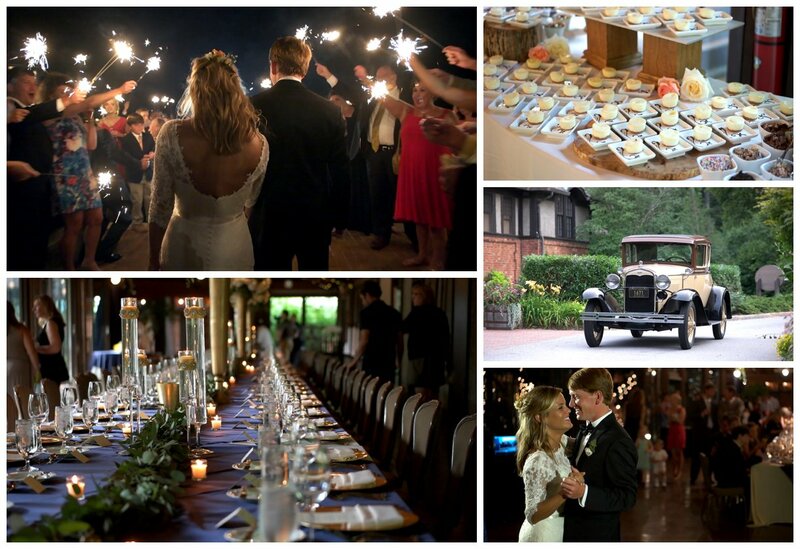 https://vimeo.com/133139825Scott Hayes, Lexington Wedding Videographer, is an award-winning editor, and cinematographer based out of Lexington, Kentucky producing both local and destination weddings films. Scott has a degree in photojournalism, and 20 years of experience in the wedding industry, and can produce beautiful, creative, cinematic wedding films Scott has produced wedding films in Kentucky, Ohio, Tennessee, Illinois, Indiana, North Carolina, South Carolina, Georgia, Florida, and Texas . Traveling is his passion, and. Scott will happily document your love story anywhere in the world!